Liz has developed a method—microscopy combined with fluorescence fluctuation analysis—to track the movement of molecules around the complex DNA networks within the nuclei of live cells. Inside the nucleus, DNA repair machines find sites of damage to prevent genetic mutations, and transcription factors search for target DNA sequences to maintain normal gene expression. At any given time, thousands of molecules move around the nucleus. Building a complete road map for navigating the DNA network will help to understand how and why deregulated nuclear traffic leads to diseases like cancer. By analysing changes in fluorescence intensities, Liz discovered that DNA networks rearrange to create highways for repair and transcription factors to arrive at target destinations. The aim of our research is to delineate the role of a dynamic nuclear architecture in directing nuclear traffic. Given the multi-layered organisation of DNA into a three dimensional genome,a consensus has emerged that nuclear architecture encodes spatiotemporal information that informs DNA target search. The naturally occurring changes in genome organisation range from nanometre local chromatin fibre movements on a millisecond time scale, to global higher order chromatin rearrangements on a minute-to-hour timescale. While live cell imaging can capture snapshots of the changes in chromatin organisation associated with different cell cycle stages, the temporal resolution of a frame acquisition renders the micro- to millisecond chromatin dynamics relevant to gene expression ‘invisible’. In recent work we developed microscopy methods—based on fluorescence correlation spectroscopy—to monitor the real time rearrangements in chromatin structure with sub-micron resolution. With these new methods we have demonstrated that the chromatin network is not merely an obstacle to diffusion, but instead a dynamic entity, which through millisecond structural changes, mediates transcription factor–DNA binding activity and directs DNA repair factor recruitment to damage sites. Our goal is now to identify the aspects of nuclear architecture, which facilitate nuclear navigation, and how this ‘spatiotemporal map’ is compromised during oncogenic transformation. 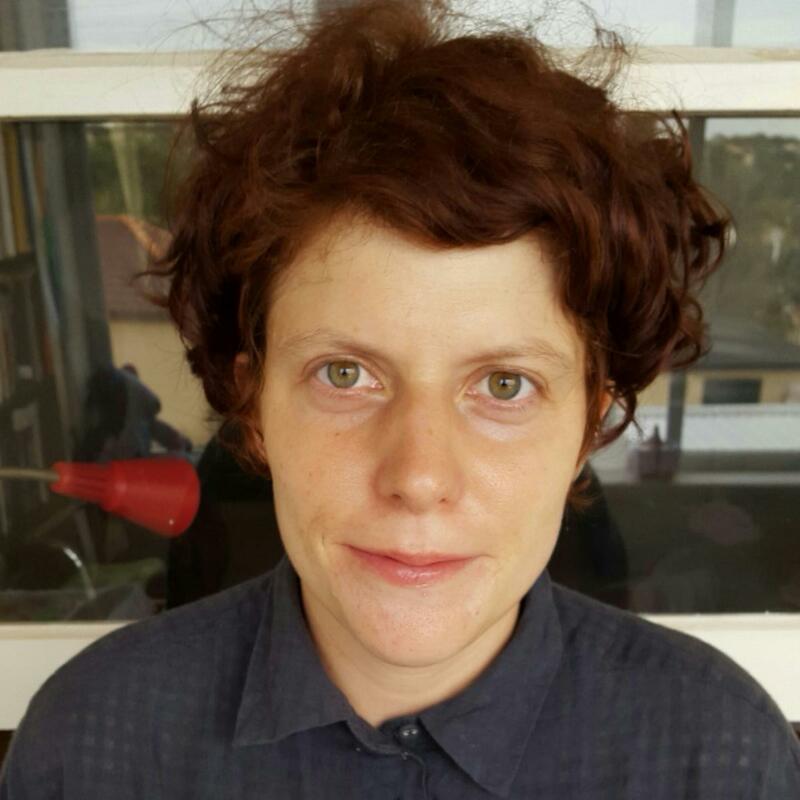 In 2010 Elizabeth completed her PhD in fluorescence spectroscopy at the University of Melbourne and was then recruited to the University of California, Irvine, USA to pursue a post-doctoral fellowship under the mentorship of Professor Enrico Gratton. In the Gratton lab (2010-2013) Elizabeth developed methods based on fluorescence correlation spectroscopy (FCS) and fluorescence lifetime imaging microscopy (FLIM) to quantify chromatin dynamics in live cells. With the aim of applying this technology to cell biology, Elizabeth returned to Australia in 2013 as a UNSW Vice Chancellor Fellow under the mentorship of Professor Katharina Gaus. At UNSW (2013-2015) Elizabeth’s research revealed insights into genome organisation that led to the award of a Cancer Institute of NSW Early Career Research Fellowship in 2015 and this enabled her to establish a research group within the EMBL Australia node for Single Molecule Science. Liz has relocated to Bio21, but maintains close collaborations with SMS. Hinde, E.*, Pandzic, E., Yang, Z., Ng, I.H.W., Jans, D.A., Bogoyevitch, M.A., Gratton, E. and Gaus, K.* (2016). Quantifying the dynamics of the oligomeric transcription factor STAT3 by pair correlation of molecular brightness. Nature Communications, 7 (11047):DOI:doi:10.1038/ncomms11047. Hinde, E.*, Kong, X., Yokomori, K., & Gratton, E. (2014). Chromatin Dynamics during DNA Repair Revealed by Pair Correlation Analysis of Molecular Flow in the Nucleus. Biophysical Journal, 101(1), 55-65. Hinde, E., Digman, M. A., Hahn, K. M. & Gratton, E*. (2013). Millisecond spatiotemporal dynamics of FRET biosensors by the pair correlation function and the phasor approach to FLIM. PNAS, 110(1), 135-140. Hinde, E., Digman, M. A., Hahn, K. M. & Gratton, E*. (2012). Biosensor Förster resonance energy transfer detection by the phasor approach to fluorescence lifetime imaging microscopy. Microscopy Research and Technique, 75(3), 271-281. Hinde, E., Cardarelli, F., Digman, M. A., & Gratton, E*. (2010). In vivo pair correlation analysis of EGFP intranuclear diffusion reveals DNA-dependent molecular flow. PNAS, 107(1),16560-16565.